A frenum is a piece of tissue in the mouth that extends from the lips and the cheek to the gums. (You can probably detect one of your frenums by placing your tongue in the space between your upper lip and your upper front teeth.) There are several different frenums in the mouth and they can attach to the inside of the lip, inside of the cheek or to the bottom of the tongue. In certain cases, a frenum can prevent teeth from staying in place after they have been orthodontically moved together. 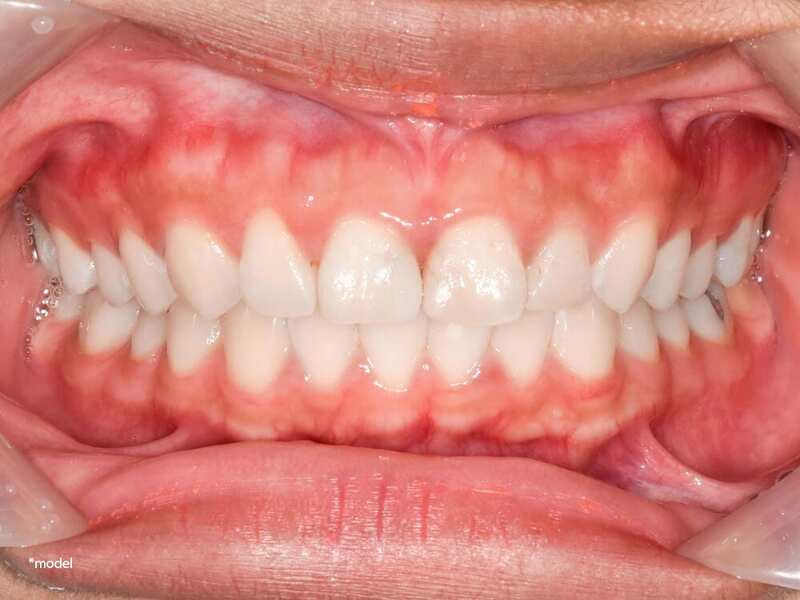 For example, after a patient’s central incisors have been brought together in order to close the space between them, an excessive frenum can possibly cause the teeth to separate again. In your lower front teeth, the frenum can actually pull the gum away from the teeth and cause a recession. When a denture patient’s lips move, the frenum pulls and loosens the denture, which can be quite upsetting. Frenectomy surgery is often done to help dentures fit better. Lingual frenectomy is the removal of the lingual frenum. The lingual frenum attaches the tongue to the floor of the mouth and if it is to short it will cause a tongue-tied patient. The area is anesthetized, then the frenum is released with an incision. Dissolvable sutures are placed that will dissolve within one week. For children and adolescents, oftentimes nitrous oxide (“laughing gas”) is employed to help reduce the patient’s anxiety. The frenectomy site will be sore for 24-48 hours, and medications will help alleviate any discomfort. The site will usually be observed a week later to ensure proper healing.